The nation’s top contemporary craft artists came from 12 states and Europe to display and sell their creations at Florida CraftArt’s 19th Annual CraftArt Festival. The two-day festival, held on November 19 and 20, at Central Avenue and Fifth Street in downtown St. Petersburg, kicks off the Holiday shopping season. The juried fine craft art festival features nationally established and emerging fine craft artists with handmade works in clay, fiber, glass, jewelry, metal, paper and mixed media. Visitors enjoy artist demonstrations, food trucks, craft beers and wine. The prestigious juror for the CraftArt Festival 2016 was Chris Amundsen, the executive director of the American Craft Council who presented $10,000 in cash awards to the following winners in the craft categories. William Kidd won the Florida CraftArt Board of Directors Award for Ceramics. Lazydays Award of Excellence was awarded to Virginia Spalter for Glass. Jewelers Marc and Sandy Zoschke won the Regions Bank Award of Excellence. Duke Energy Award of Excellence was presented to Larry Hasiak for Wood. JJ and the Z / Remax Real Estate Award of Excellence was awarded to Lynn Hardesty for Jewelry. Tyrone Mazda Award of Merit was given to artist Larry Brown for Wood. Trenam Award of Merit was presented to Leeann Kroetsch for Fiber. Great Bay Award of Merit was won by Kristin Holeman for Jewelry. Tampa Bay Times Award of Merit was given to Harry Welsch for Ceramics. The PIE Award of Merit was presented to metal sculptor Richard Jacobus. Ceramic artist Sean Fitzgerald received the Eckerd College/ Matt & Joanne Bisset Award of Merit. The DMG School Project Emerging Artist was Jackie Head. 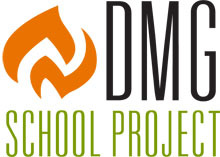 The DMG School Project as Florida CraftArt engages the next generation of fine craft artists. This year, the CraftArt Festival, Florida CraftArt’s annual event, featured some of the nation’s best established and emerging fine craft artists with handcrafted works in jewelry, clay, fiber, glass, wood, metal, paper and mixed media. Collectors know that this is a premier show and support it enthusiastically. Emerging Artists Program: Emerging artists are invited to participate in the CraftArt Festival. Florida CraftArt, through the sponsorship program, provides the tent, table and chairs as well as business mentoring by renown glass artist Duncan McClellan, photographs of their work by Brian James and marketing materials for distribution. We even give them a stipend so there are no starving artists! This program is supported through the generosity of DMG School Project. Florida CraftArt selects jurors from around the country with a dedication to and knowledge of fine crafts. We are proud to announce that this year’s juror is Chris Amundsen, Executive Director of the American Craft Council, a national non-profit education organization with 26,000 members headquartered in Minneapolis, MN. The Council is the largest non-profit producer of fine juried craft shows in the country; produces a bi-monthly magazine, American Craft, provides educational programs and operates a research library to meet the needs of the craft community. Chris is a graduate of the University of Minnesota and has built a strong leadership track record with for-profit and non-profit organizations. Prior to joining the Council, Chris was an executive in the United Way system nationally in Washington DC and locally in the Twin Cities of Minneapolis and St. Paul. He has a passion for non-profit work and the arts. Chris and his wife Bridget became fascinated with craft when they lived in Washington DC and have an eclectic collection of work that spans jewelry, wood, glass and ceramics. He particularly loves meeting artists, learning more about their process and what inspires them. Collector’s Circle is a pledge by you, the patron, to purchase art at the festival. Some of the best artists use the amount of Collector’s Circle pledges as a gauge of the success of the festival and your participation contributes to Florida CraftArt programming and education. There are special perks for our Collector’s Circle participants and then there’s the thrill of presenting a Collector’s Circle ribbon to your favorite artist! This event was designed to provide equal opportunity for enjoyment to all participants. If you would like to request any particular aids or services pursuant to disability laws, please contact Florida CraftArt or the City of St. Petersburg community Affairs Division at 727-892-5257 or 727-892-5259 TDD?TYY.